Success Tax Relief offers a wide range of tax solutions to individual taxpayers and small businesses. The company specializes in tax problem resolution while also handling a number of other financial and tax related services. While Success Tax Relief has only been in business a few years, its employees collectively have over 60 years of experience in solving tax debt for both individual taxpayers and businesses. Success Tax Relief operates on the standard of transparency throughout, and as a smaller company, it takes pride in having an open door policy, meaning that it likes to work with its customers face to face. The company shines light into how many other companies in the industry operate, claiming “others” don’t allow consumers to know the company whereabouts, while they choose to inform consumers of their location, welcoming anyone with the desire to get tax problems solved with interpersonal interaction. This full-service tax relief company provides a toll-free number to take part in a free consultation, with 24/7 hours of operation, as it understands not all clients are available during the corporate time clock (9 to 5). During the consultation, expert representatives help consumers by dissecting their financial situation and creating a customized plan of action to stop harassment from IRS agents. The company offers a variety of plans, from tax preparation and Offer in Compromise (OIC) to business funding, all while keeping its clients informed and up to date each step of the way. Once enrolled into a program, professional representatives will act on their clients’ behalf and serve a mediator and advocate, with a bold claim they will provide compassionate and responsive service during the course of the program. In addition to tax relief services with exemplary staff response, this company does fairly well in its attempt to keep consumers and clients alike informed on all things tax related. Educational information is provided within a glossary of tax terms, with a plethora of definitions helping to increase tax vocabulary. An up to date blog is also offered with articles discussing how tax exemptions work, who qualifies, and how to prepare for tax debt during the holidays, among several other well-written articles. Success Tax Relief is not a large company, and while some clients may appreciate the level of personalized attention, it’s important to keep in mind a company of this stature may not be able to handle several of clients at once in a timely manner. The company’s small business mentality is a positive and a negative in that way, as its resolve time may take longer than most, although it does offer some of the best pricing for tax relief services we’ve seen. Unfortunately, Success Tax Relief has not disclosed pricing information on its corporate website, making it difficult for potential customers to know how much these services will cost them. 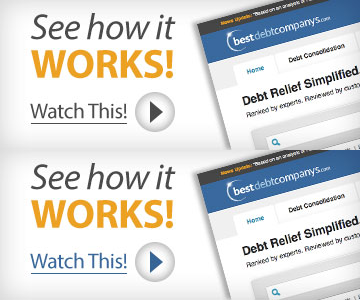 Success Tax Relief is a personable tax relief company based out of Houston, Texas. For those with the desire for face-to-face interaction, this may not be the company to enroll with, but for those who still appreciate personalized phone service with around-the-clock hours, we recommend giving Success Tax Relief a call. The company does well to offer educational materials and provides a number of different services. Overall, we recommend giving this small company a call to see if it can meet your tax needs; if not, we recommend some of our other top rated companies. Success Tax Relief has not disclosed pricing information on its website. Success Tax Relief has not disclosed this information on its corporate website. 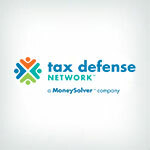 With employees with over 60 years of collective experience, Success Tax Relief consists of a small group of tax relief specialists that provides several tax services to thousands of customers. The company guarantees to set clients up with a resolution plan that is within his or her ability to pay without causing financial hardship. The company has not disclosed this information on its corporate website.